I don't remember when I started piano lessons when I was little, but I always felt I do not have what it takes. Not musically inclined. But I love how a piano sound, very much. It made me feel at peace. I started learning piano in a music centre. Still remember I had to go there for pratice before my parents bought me a piano. I'm not sure if I played really badly or the music centre really "eat money" as my mom called them, eventually my mom switched me to a private teacher who teaches from home, citing I was stagnant in a grade for a tad too long. Switching me to private teacher, I jumped a grade. And I stopped learning when I was in Form 6 after I passed my Grade 6 practical with Merit. My teacher thought it was a waste but I thought STPM was much more important. And so, I stopped learning piano there.. Although ocassionally I still play, playing a musical instrument is very therapeutic, happy, unhappy, sad.. etc.. But my musical journey didn't stop. Few years into workforce, I signed up for guzheng class in community club here in Singapore. I couldn't catch up as I was too used to invidivual music lessons, I felt left out, couldn't catch up and gave up after a few lessons. 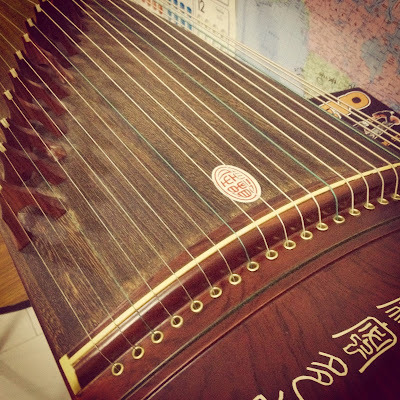 I have no absolute answer, except guzheng is the next instrument I love after piano. Recent 2 years, I had the itch to take up music lessons again. There was no suitable guzheng lessons near my area, and we do not have the space to get a piano yet. Finally, in Oct, I found a new guzheng class starting at the community club near our place, and so I registered. I've attended the 5th lesson on Saturday. Oh god, I finally realised teacher plays such an important role. 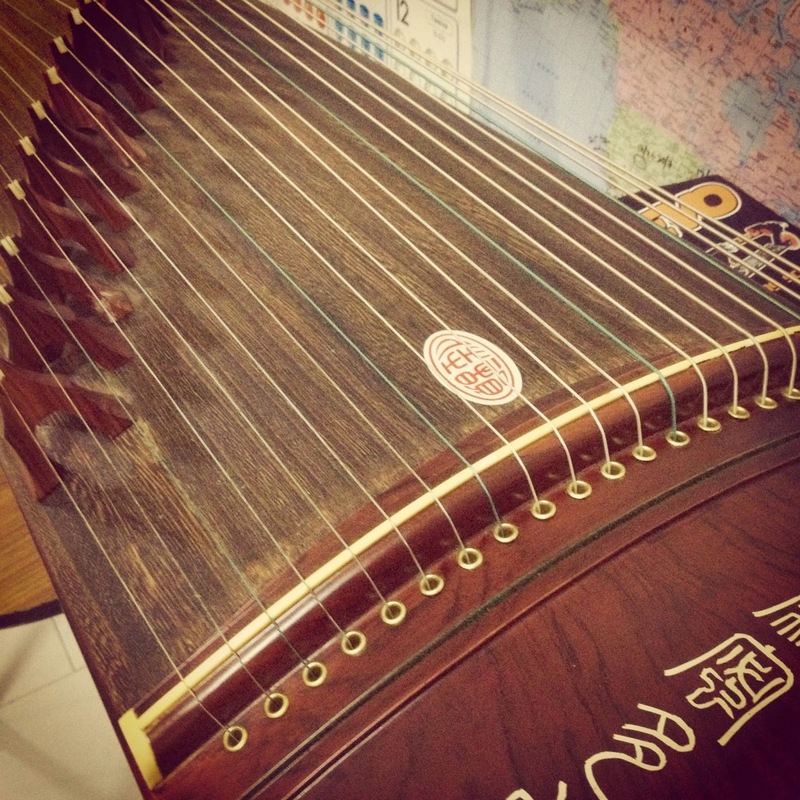 This teacher teaches us from very basic, history of guzheng, the structure, playing with 1 finger, progressed to 2.. and now I can play simple notes. Hmmm.. the musical talent didn't improve much, but I'm trying hard. I rented a guzheng as I know learning musical instrument without practising is as good as dumping water in the sea. But I dare not invest in a brand new one although hubby told me he would buy one for me. I really do not wish to get a white elephant. The irony is, I'm practising everyday now, without the nagging of my mom. She used to nag at me everyday for not practising my piano. I miss my piano... but I enjoy learning guzheng now too. P/S: the best part of my practice, IZ would not disturb me when I told him I need to practise. He is very supportive too!